This is an entree from one of us. He writes rather brilliantly and I just had to share this here. Enjoy mates! Like every LFC fan last season, we were all gobsmacked and often times our jaws were decisively earthbound with the way Liverpool played football. The neutrals adored, our rivals could only shudder and remain apprehensive about their date with the ‘grim reaper’. An amazing 5-1 win against Arsenal and putting 9 goals past Spurs home and away didn’t get us new friends in North London. Our neighbours across Stanley Park at Goodison weren’t spared either. We simply wreaked havoc across the country. LFC made the fans dream once again and was it not for the unfortunate slip by Stevie we would have lifted the title. We lost the league but won many hearts. 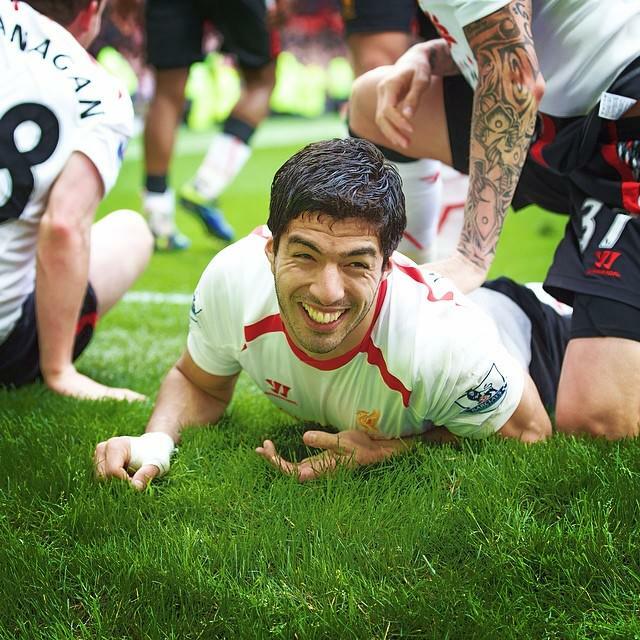 All these mesmerizing moments were greatly afforded by the genius of one man – Luis Suarez. He scored 31 goals out of a total 101 and boy they were wonderful goals. If you love stats as I do Suarez scored 30.7% of our goals! For a guy that was tempted to go Arsenal in pursuit of UCL football, the way he knuckled down to score 31 goals after his move was turned down speaks volumes about the character of the man. For all his obvious and well documented faults, his ability and determination to help the cause can never be questioned. He has moved on to Barcelona for ‘family reasons’ and I wish him all the best. From my heart. After Kenny Dalglish left I was one of the fans who wanted Rafa Benitez back at the helm because of his antecedents but as FSG got burned by appointing Kenny due to popular demand and seeing how it turned out they were going to stand their ground this time. Enter Brendan Rodgers. His first season wasn’t so good as the results weren’t consistent due in major part to the fact that it was always going to take a while to get his philosophy of ‘pass and destroy’ across to the players at his disposal. With the arrivals of Sturridge and Coutinho he has been able to mix the passing game with a bit of directness making us less predictable. Brendan Rodgers is one of the best young managers in world football. Suarez wasn’t the most important man at LFC – Brendan Rodgers is! And I’m glad we still have him. If you offered any LFC fan 2nd place last August I’m sure they would bitten your arm off. I certainly would have. The fact we were disappointed at the end of the season instead of celebrating our over-achievement is a testament in itself. We have sold Suarez for top dollar but how do you replace him? The painful truth is that you can’t! Instead of looking to replace him like for like why not try to replace his goals? Makes sense. This summer we have signed Lambert, Emre Can, Lallana, Divock Origi, Lovren, Manquillo. Some might say we are gonna do a Spurs. LFC isn’t Spurs. BR isn’t AVB. 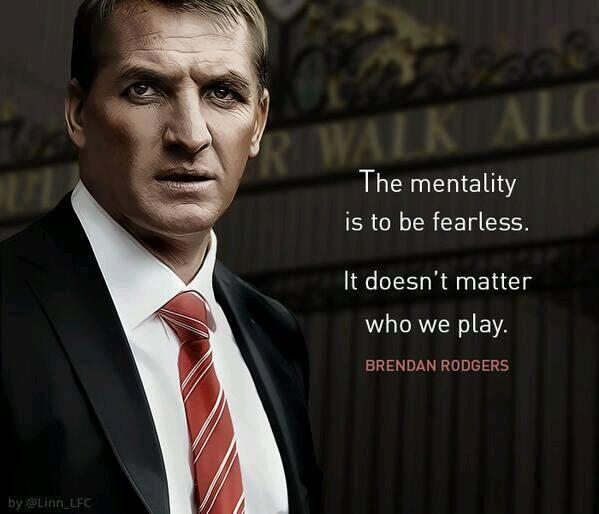 Brendan already had plans to bring in a number of players to add depth and quality irrespective of Suarez’ situation. Suarez’ departure affords Brendan more options and of course money. In Emre Can we have an enforcer shielding the back 4. Manquillo looks an upgrade over Glenno already and with what I have seen of Moreno (imminent) I think he will start ahead of Enrique. BR likes pacey dribblers and Moreno looks the part. Can defend too. I love competitions in positions so the CB paring will be a hard one to call. I fancy a back four of Manquillo – Lovren – Sakho – Moreno. Personally I’d love Markovic and Sterling to play as inverted attackers but hey what do I know. Our bench would definitely look stronger and with news about a new striker it can only get better. I have absolutely no doubt we shall all witness another stellar season and as the most important man is still with us there’s little cause for worry. Last season we had the top scorer in the BPL but then sold him. Of course it would have been ideal if we could buy the second top scorer. Wait!…isn’t he Daniel Sturridge? On Sunday 17th August against Southampton, We go again!! Freaky Friday: Salt and Water blues!!!! When "Bad" is "Good" for you!!! DiamondWoman Poll: DESIGNER BAG OR PERFECT FAKE?